Vegetarians' Nightmare: Vitamin B and Protein Deficiencies. Most people think of chiropractors as spinal specialists. We are. We help people get out of pain, and get back to living the lives they love to live. We get people back onto the tennis courts, back onto dance floors, and back into the things they used to do before they were wracked by pain. But we do more than that—much more. 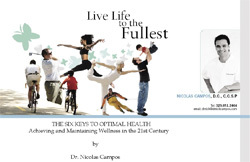 Chiropractors help people achieve wellness. We do this through maintaining nervous system function, by keeping the spine mobile and subluxation free. We also help people achieve wellness through exercise and nutrition. You can't have a properly functioning body, or true health, without proper fitness and nutrition. Most of the clients at my Los Angeles, Beverly Hills, and West Hollywood chiropractic office have experienced my fitness and rehab instruction. Stretching, strengthening and balance are all a part of my treatment protocol. My philosophy is that “those activities which maintain great health also promote healing.” So, obviously, exercise and fitness are integral to my patient management. But what about nutrition—shouldn't that be central to any health and wellness regimen? The answer to that is a resounding yes. Truth be told, there can be no complete healing, no complete wellness, without proper nutrition. In this and upcoming articles, I will explain how nutrition can be one's enemy or one's ally in the healing process; and how good nutrition is absolutely vital in the quest for good health. I obviously can't discuss every nutrient and its concomitant deficiency in one particular article, so I've decided to break them down into groups and present them piecewise. Before I get into this month's nutrients, however, I would like to say that there is a huge difference between vitamin deficiencies falling far below the recommended dietary allowances (RDA), and what we call subclinical deficiencies . I will discuss both types of deficiencies in this article, but I'll make sure to point out when I am speaking of one or the other. The first nutritional deficiencies I will touch on are vitamin B and protein. I start here because of the popularity of vegetarianism. I recently got a call from a lady on the east coast who was concerned for her 17-year-old daughter. Her daughter seemed to be getting progressively more fatigued, had trouble concentrating, and was doing poorly at her studies. It was especially upsetting because the daughter was in the process of applying to colleges and had zero motivation to complete her applications—a parent's nightmare. The mother wanted to know all about vitamin testing. While telling me about her daughter she disclosed that the young lady was a vegetarian. I was frank with mom, “Before you get into vitamin testing, I said—and you should—you might want to discuss dropping the vegetarian thing.” I told her that vegetarians have a heck of a time getting the amount of protein they need to function properly. True, some people may not be able to handle meat products due to food sensitivities, but that's rare; and there are usually only one or two meat types that are offenders in these cases; so poultry and lamb, for instances; or fish and pork. Rarely is it every type of meat. For these people, finding the offending meat is vital; and substituting other protein sources—non-offending meats, cheeses, eggs, and so forth—is essential to getting the proper amount of protein necessary. This is especially true in growing children (sorry teens, you are still kids as far as physiological growth is concerned), pregnant women, and people healing from injury or illness. Protein is necessary for tissue development among other things. The external body that you see in the mirror is primarily made up of protein. So protein ingestion is paramount to good health. Although there is protein in nuts, grains and legumes (beans), the best sources are meat, fish, eggs, and dairy. Protein must be eaten every day, no exception. Women need a minimum of 46 grams of protein per day, while men need 56 (a 3 oz. 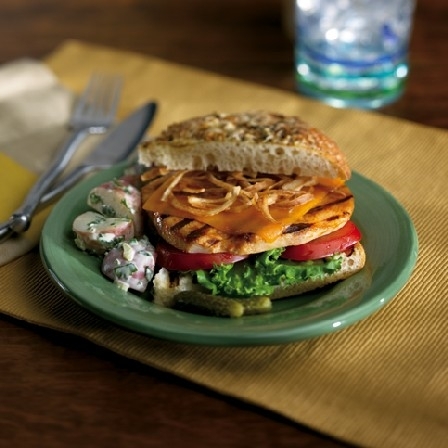 chicken breast supplies 24 grams—the picture below shows an approximate 3 oz. breast). Since the body is continuously breaking down protein, the numbers above are just to prevent deficiency; understand that most people need even more for optimal function. 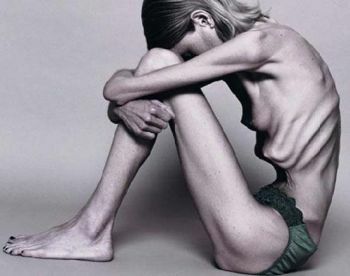 When deficient, a person may experience unhealthy weight loss (think anorexia), weakness, muscle wasting, and edema (swelling/water retention). They may also experience hypotension (low blood pressure), bradycardia (slow heart rate) and pigmentary changes in the skin. Protein deficiency may lead to fatty infiltration and cirrhosis of the liver. 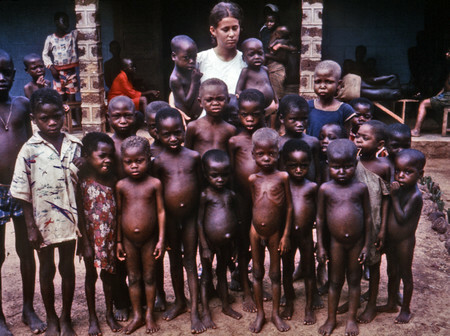 Protein deficient people may also exhibit anemia, be poor wound healers, and fail to thrive (especially daunting in children). Protein deficiency is no joke. Subclinical vitamin B deficiency is more widespread than once believed: a large U.S. study found that nearly 39% of people were below functional levels of vitamin B12, without typical signs and symptoms of full-fledged deficiency. The problem with vitamin B deficiency is that it can sneak up on you. It doesn't necessarily create immediate and obvious symptoms. This is what we call a subclinical deficiency. For instance, when vitamin B12 deficiencies begin, one might experience sleep disturbances—insomnia, waking up in the middle of the night, and so forth. Neurological signs can also develop, like numbness and tingling in the hands and wrists. Even depression can result from being B12 deficient. Interestingly, I see a lot of these symptoms in my office regularly. The obvious signs and symptoms like advanced nerve damage, loss of balance and staggering, confusion, dementia, muscle spasticity, loss of bladder control, and erectile dysfunction may take years to develop—thank god—and so waiting for these to show themselves is obviously ill-advised. I've already mentioned vegetarians*, or people who are “mostly vegetarian.” If this is you, and you are doing this for any other reason than food sensitivities—don't “like” meat, political or humanitarian (?) reasons, saving the ecology—then stop. You are just as much a part of this planet as any other living thing, and your health is of great value. Human beings are omnivores. This doesn't mean we can eat either meat or plants; it means we need both, period. Stop the craziness and start eating rich protein sources, which are meat, fish, eggs and dairy. The other two groups at risk are the elderly and partiers. The elderly become susceptible to vitamin B deficiency due to absorption problems—atrophic gastritis is common in the elderly. Throw in medications, surgeries and anesthesia and vitamin B deficiency increases exponentially. If you are over 50 years old, I'd get checked for vitamin B deficiency, even if you are “relatively healthy,” simply because your absorption of nutrients in the GI tract might have diminished. Partiers are at risk for developing B deficiencies for obvious reasons. Smoking, drinking and recreational drug use depletes the essential B vitamins. But there is a specific drug that is especially pernicious in creating vitamin B deficiency and that's nitrous oxide (NO2 ). 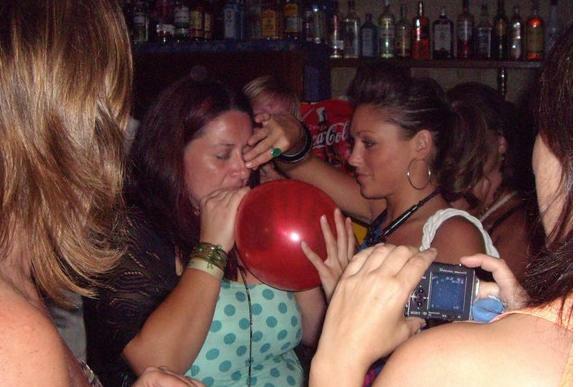 Nitrous oxide—laughing gas, whippets, or simply nitrous—is inhaled into the lungs through balloons, from whip cream canisters, or directly from cartridges. It is also administered from dentists just before surgery. Ravers, medical and dental personnel, and other numbskulls (no offense—I mean this literally), are at high risk because NO2 inhibits the action of B12 and lowers its tissue levels. Anyway, this crap can kill you, so if you're doing it, I'd advise stopping. And get yourself nutritionally tested. So how do you know if you are vitamin B or protein deficient? Relying on symptoms alone is a very poor indicator. The best way to make that determination is through nutritional testing. Nutritional testing is done by taking a blood sample and having you nutrient levels measured in a lab. The results of the nutrition panel are then evaluated by a professional, and any dietary deficiency is discussed and corrected with the proper supplementation. But where does one get one of these panels? Ah, the $64,000 question. Starting in January 2009, you'll be able to get a complete nutrient profile and analysis, as well as counseling and an optimal nutrition plan in my office. We will be taking blood samples two times per month, and providing you with results, advice and a plan within two weeks. This way, if you are deficient in any essential vitamins, minerals or other vital nutrients, we'll know. We'll be able to bring you not just out of deficiency and illness, but also into optimal health and wellness—and isn't that what it's all about? As I said in the beginning, hitting on every nutritional deficiency and its symptoms is impossible in a short article. That's why I will be dedicating regular articles in this category several times throughout the upcoming year. If you have any particular questions about nutrition, symptoms, or deficiencies, or you just enjoy these articles, please let me know. Give me an idea of what you want to read about in the future. Also, get tested. It's the best way to know where you are today, and direct where you'll be going tomorrow. Happy New Year!